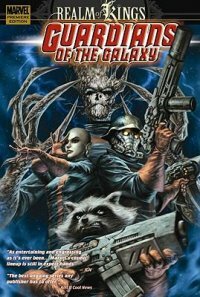 " Contains material originally published in magazine form as Guardians of the galaxy #20-25"--T.p. verso. Guardians submitted by Thomas B Brown on July 22, 2016, 11:09am I love how Groot and the raccoon save the day. Some weird telepathy stuff. Good overall. New York : Marvel Worldwide, Inc., 2010.